Pre-owned by a consignor but barely worn. 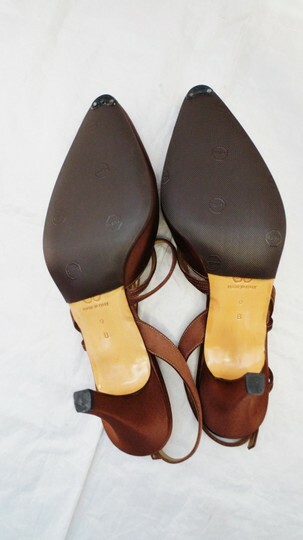 Please refer to photos for sole condition. 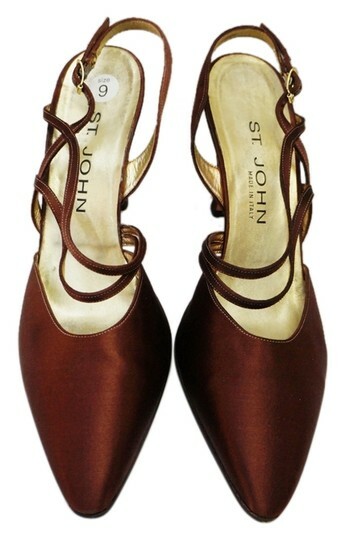 No box/shoe sleeper bag. 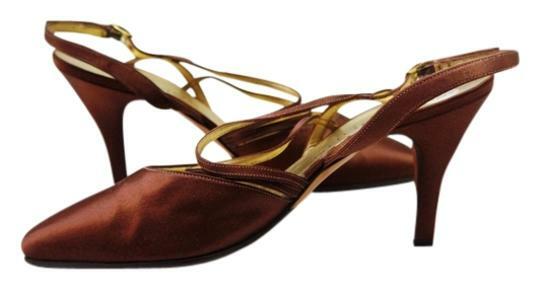 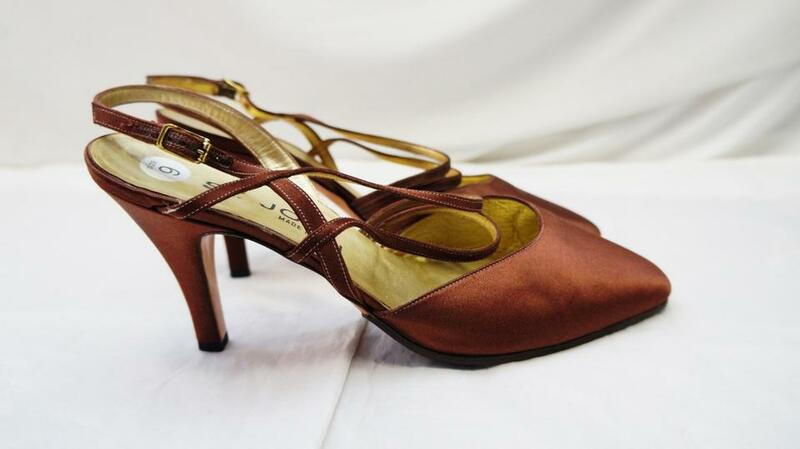 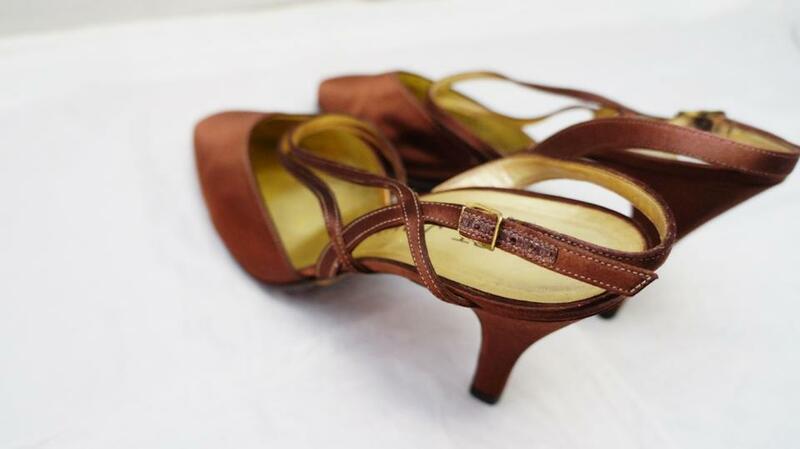 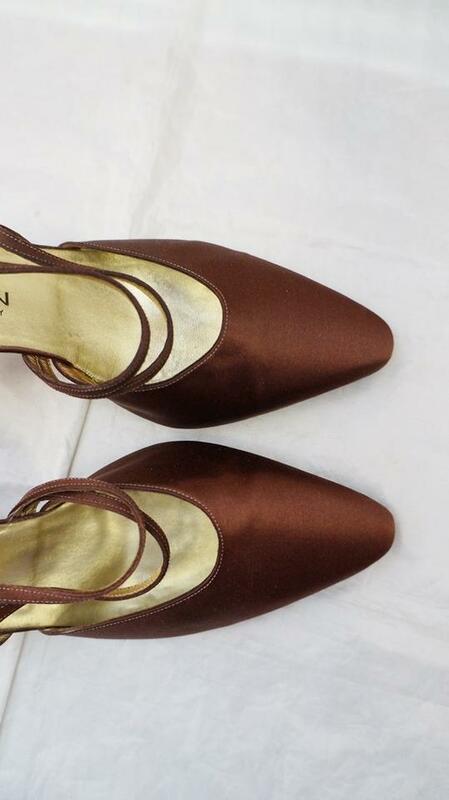 This is a beautiful satin pair of St. John Knits slingback pumps in a shimmery brown color. 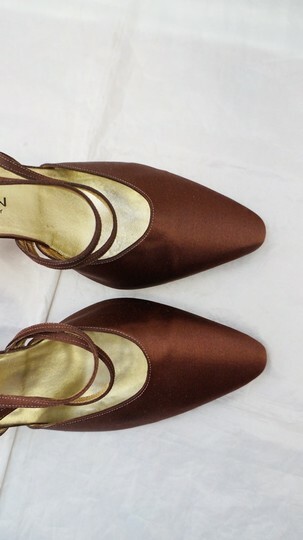 With a pointed toe and strappy details, it's the perfect shoe for any wardrobe!